A graphic designer to add artwork to featured articles. All of these are volunteer positions. Contact us, if you are interested. Share your MILAB story with us! Have you experienced a MILAB? We'd love to hear from you! Send your story to submissions at jar-magazine.com. Note that we cannot guarantee that all stories will be published, and stories may be edited for brevity. And please let us know whether you'd want the story to be published anonymously or not! Editors note: This article has been updated on 21 January to include a submission by Susan Swiatek. MILAB stands for Military Abduction. The phenomenon was first investigated by Dr. Helmut Lammer of the Austrian Space Research Institute. In a number of cases, abductees are subsequently abducted by humans in military uniforms. (For this reason, Melinda Leslie started calling them RE-ABs, for re-abductions). Nearly always unmarked helicopters are involved. The victims are usually drugged or sometimes disoriented by a strong electromagnetic field. During their military abduction most of them receive an implant, usually behind the ear. 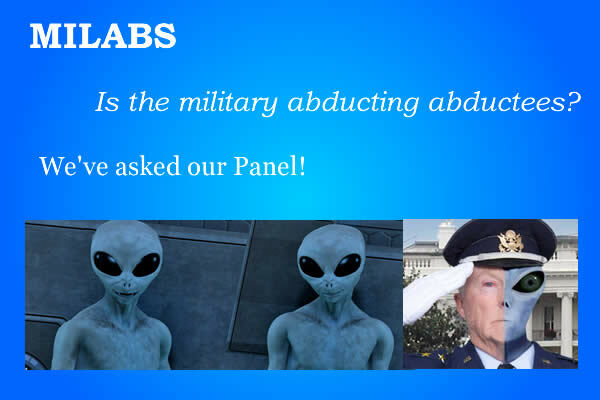 MILABs seem to be a part of a wider operation, aimed at monitoring and abducting abductees in order to keep a lid on the alien abduction phenomenon. MILABs are different from regular alien abductions. For starters, they seem to be limited to mainly the USA (and maybe Canada). Furthermore, MILABs involve "Activity of dark unmarked helicopters, the appearence of strange vans or buses outside the houses of abductees, exposure to disorienting electromagnetic fields, drugging, transport with a helicopter, bus or truck to an unknown building or an underground military facility. Usually there are physical aftereffects, like grogginess and sometimes nausea after the kidnappings. There is also a difference when the abductors appear. In most UFO-abduction cases, the beings appear through a closed window, wall, or the abductee feels a strange presence in the room. Most abductees report that they are paralysed from the mental power of the alien beings. At MILABs the abductee reports that the kidnappers give him or her a shot with a syringe. It is interesting, that MILAB-abductees report that they are examined from human doctors in rectangular rooms and not in round sterile rooms -- as in descriptions of UFO-abductees. The described rooms, halls and furniture are similar to terrestrial hospital rooms, laboratories or research facilities and have nothing to do with UFO-furniture." (Helmut Lammer, "Military involvement in Abductions," 16 October 1996, www.abduct.com/features/f04.php). In an effort to debunk UFO abduction/contact events, skeptics often claim that what experiencers interpret as memories of ET abduction/contact are actually the result of natural brain functions referred to as false memories. by a suggestion introduced in a highly suggestible state of mind, such as deep meditation or hypnotic trance. 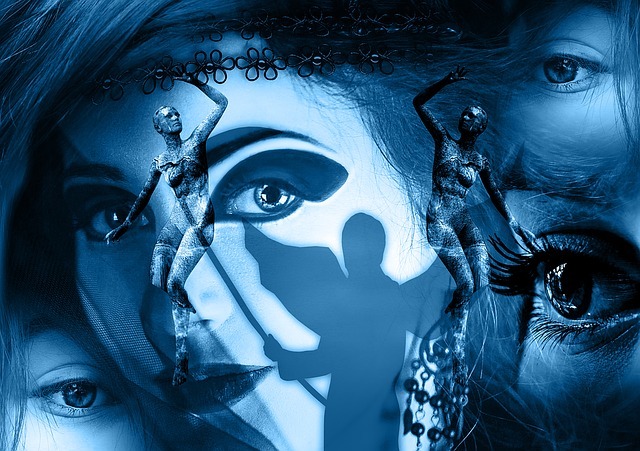 There is no doubt that false memories exist and that everyone with a human mind experiences them. As such, it is possible, and even likely, that some ET abduction/contact experiences can be attributed to or may be a blend of valid genuine events and false memories. However, this is not proof that all reported contact experiences are such. Debunkers exhibit their misunderstanding of the functions of the human mind when they contend that if there is no incontrovertible proof that an ET abduction/contact event happened, it necessarily was a false memory. False memories happen, and probably the greatest difficulty an experiencer will encounter in trying to come to terms with an ET abduction/contact event is figuring out what really happened and what may in fact be false memories. Talking about the event in a support group or with a therapist or counselor can make it easier to figure out. Paola Harris published the presentation Ricardo Gonzalez gave at the 2016 Starworks USA Conference in Lauglin. The presentation was done in Spanish, with an interpreter on stage, translating everything into English. When embarking on a process of psychotherapy with a client who suspected she might have had lifelong disturbing experiences with extraterrestrials, I never guessed that the ensuing year of weekly sessions would bring forth material which expanded and turned my perceptions of our human race and reality upside down. In addition to hypnotic regressions to relive and release the trauma from my client's abductions, we discovered that on separate occasions she was channelling information from an alleged extraterrestrial male being from the Antares star system. This being suggests we call him Ohana, which (coincidently?) is the Hawaiian word for 'extended family', and is currently used frequently on the island of Maui as the name of a chain of banks and other facilities. He says he does not really have a name, in keeping with the ways of his planet, but he is conforming to our human need to identify all people and things by name. We 'followed our noses' from session to session, asked questions of interest to us. and received from Ohana a substantial outpouring of material from this extraterrestrial's perspective, much of which reflects on us as human beings. Enough information has come forth to fill a book. This book may eventually be written by me, by my client, by her close friend who is keenly interested in this channelled material, and by Ohana himself … a four-authored book written with the mutually cooperative spirit and respect which Ohana continually encourages between all races in the cosmos. 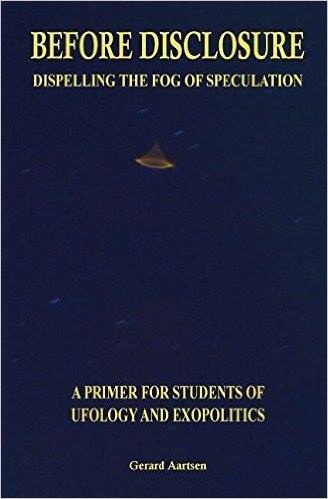 The following material is a compilation of thoughts about how he and his extraterrestrial friends see us humans, extracted from the larger body of channelled material. Reading this may help us reappraise who we are and what is our place in the cosmos. The sessions are continuing and more material will be coming forth: an 'intergalactic work-in-progress'. It is up to each of us readers to have our own reactions and draw our own conclusions. No official pronouncements are being made here about reality; simply the passing along of perceptions from a faraway source, an unusual (for us) point of view.